WHY: The more I listen to Pale Green Ghosts, the more vexed with myself I become for taking so long to get familiar with such a dynamite songwriter. 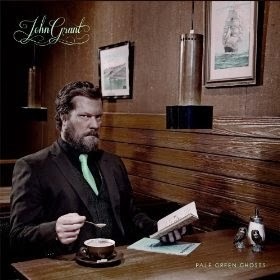 That songwriter would be John Grant, a man who strikes me as a little Magnetic Fields, a little King Biscuit Time, and a little Divine Comedy, and a whole lot of something totally unlike anything else I listened to this past year. Obviously a strong songwriter, Grant has a gift for clever lines. My favorite line of the entire record is probably thus: "Etch-a-Sketch your way out of this one" from the fabulous "Blackbelt." From throbbing, sassy synths to simpler structure, Grant's earnest self-deprecation and lyrical wit is so very easy to fall for. Highly, highly recommended.